Contending that culture lies at the root of our current planetary and civilizational crisis, this book uniquely explores the nature of the specifically cultural dimensions of that crisis and how culture relates to the areas of politics, policy, economics, ecology and the whole discourse of sustainability. It debates how profoundly our world is shaped by capitalist culture, emphasizing the import of political culture and policy, social justice, leadership and community in the shaping of a new cultural sustainability. 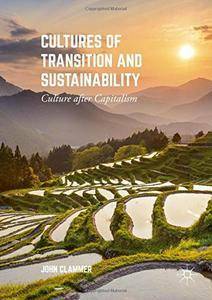 It also reintroduces questions of religion, art, citizenship and comparative culture into the sustainability debate and suggests ways in which the central issue of consumer culture can be rethought and others in which socially satisfactory transitions to a sustainable future might be achieved. Addressing the specific role of culture in our crisis and of how to build cultural resources for transition, this cutting edge text provides the reader with an introduction to the literature on culture and sustainability, and both practical and theoretical tools for creating and advancing a humane and ecologically responsible future.